Medication is not always used in the treatment of eating disorders but some individuals may be prescribed medication as a part of a coordinated treatment plan in combination with psychotherapy, otherwise known as counselling or talk therapy. Generally medication is used more often to treat bulimia than anorexia, and it is used mostly to treat an associated condition of an eating disorder, such as anti-depressants which may be prescribed to alleviate the symptoms of depression. Another case in which medication may be used, is the prescription of appetite suppressants to treat binge eating disorder. Also, some research has concluded that individuals suffering from severe eating disorders have abnormalities in their brain neurotransmitter systems, which is similar to individuals suffering from obsessive compulsive and anxiety disorders. In such cases anti-anxiety medications may also be used in the treatment of severe eating disorders. However, even if medication is prescribed to treat an eating disorder, it must be under professional supervision and it should not be used simply to mask the symptoms. Instead, an individual should also engage in treatments designed to work on the underlying concerns that contributed to the development of the eating disorder. If medication is deemed appropriate for an eating disorder, a psychiatrist or physician (whichever is the prescribing doctor) will have a full consultation with the individual before any prescription is written. At this time the individual will need to be honest about any existing medical conditions, any medications that (s)he is currently taking and allow the medical professional to carry out an overall assessment of his/her physical health. Unfortunately not all prescriptions are perfect from the start, so even after a medication has been prescribed there is usually a kind of trial period during which it is evaluated by both the individual and the medical professional. 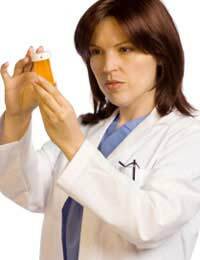 Sometimes a variety of medications may need to be tested before a good fit is found, and sometimes the medication is a good fit from the start but the dosage must be tweaked. During this time it is essential that the individual and medical professional stay in contact about the medication, its effects and side-effects, and any developments in the individual’s overall recovery from his/her eating disorder. Though the time to cease taking medication for the treatment of an eating disorder will differ for each individual, medication should be taken until both the individual and medical professional agree that it is time to stop. It is highly unlikely that medication will be the only method of treatment for a given eating disorder. Instead, treatment plans usually take a holistic view of the individual and attempt to heal all of the physical, mental and emotional concerns that characterise their eating disorder. To this end, treatment plans almost always include a variety of different treatment types such as individual counselling or talk therapy, family counselling, cognitive behaviour therapy (to change food and eating behaviours), attendance at support groups or group therapy and nutritional counselling and advice. If medication has been prescribed for an individual, then all therapists involved in his/her treatment should know of this development. Further information on medication and the treatment of eating disorders should be obtained from a GP, private mental health professional or from the Eating Disorders Association and/or National Centre for Eating Disorders.